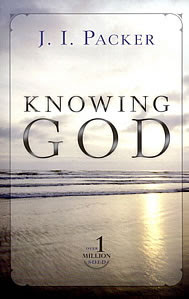 Notes: (1) I read “Knowing God” way back in 1973 when I was a freshman at the University of the Philippines in Diliman, Quezon City. Although both Packer (Anglican) and Spurgeon (Baptist) are renowned Calvinists, there are a lot of things they said that we can learn from without necessarily agreeing with their theology. Please read “Of the Freeness of Salvation” from the Articles of Faith; (2) Knowing God study guides: Section 1 Introduction & Chapters 1-6; Section 2 Chapters 7-17; Section 3 Chapters 18-22. “We are cruel to ourselves if we try to live in this world without knowing about the God whose world it is and who runs it. The world becomes a strange, mad, painful place and life in it a disappointing and unpleasant business, for those who do not know about God. Disregard the study of God, and you sentence yourself to stumble and blunder through life blindfold, as it were, with no sense of direction and no understanding of what surrounds you. This way you can waste your life and lose your soul." It has been said by someone that “the proper study of mankind is man”. I will not oppose the idea, but I believe it is equally true that the proper study of God's elect is God; the proper study of a Christian is the Godhead. The highest science, the loftiest speculation, the mightiest philosophy, which can ever engage the attention of a child of God, is the name, the nature, the person, the work, the doings, and the existence of the great God whom he calls his Father. But while the subject humbles the mind, it also expands it. He who often thinks of God, will have a larger mind than the man who simply plods around this narrow globe... The most excellent study for expanding the soul, is the science of Christ, and Him crucified, and the know ledge of the Godhead in the glorious Trinity. Nothing will so enlarge the intellect, nothing so magnify the whole soul of man, as a devout, earnest, continued investigation of the great subject of the Deity.